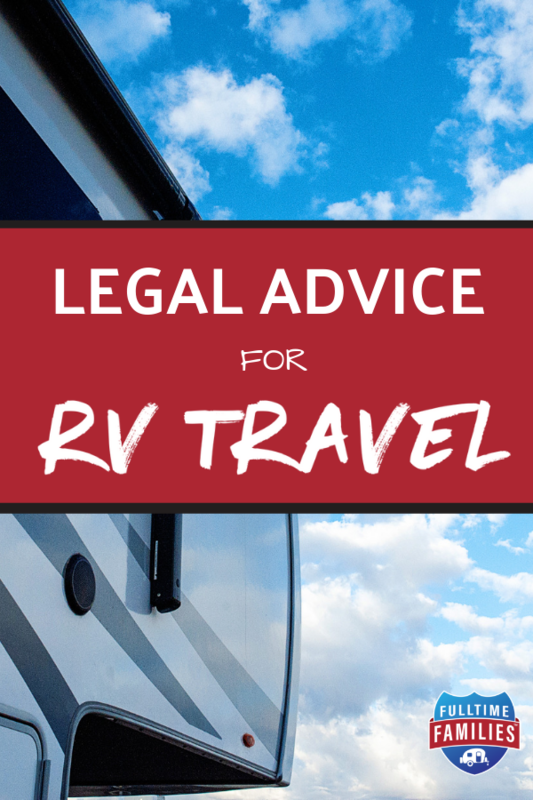 If you’re reading this, chances are you’re in one of a few places: you’re simply dreaming about hitting the road, actively planning the logistics, or are already living your dream of RV living. 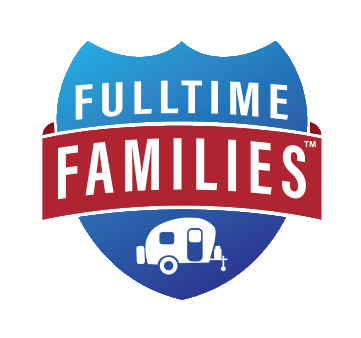 No matter where you’re at as a Fulltime Family—mentally and from a physical location standpoint—one thing that’s always top-of-mind is navigating the challenges and bumps in the road that go with…well, life on the road as an RV family. Imagine you are on the road, your rig breaks down, and you fork over hundreds if not thousands of dollars on a repair. You get back on the road, you’ve driven another couple of hundred miles, and the problem is back again. What do you do? More often than not, you’re then faced with another costly repair. Did you just get scammed by a repair shop that is now hours away from where you are? What do you do? Now, imagine you’re driving late at night, going along at the speed limit, and all of a sudden you see the dreaded red and blue flashing lights behind you. You pull over and to your surprise, the officer asks you to step out of the vehicle and proceeds to tell you that you are under arrest for an outstanding warrant. You’re not a criminal. Come to find out, you’ve become a victim of identity theft and someone has been committing crimes under your name. How do you clear your name? What can you possibly say to the officer to convince them that “it wasn’t me!”? Unfortunately, these types of circumstances happen all too often. Peace of mind is hard to come by for anyone these days but raising a traveling family comes with even more worries on a daily basis. Becoming a Fulltime Family and committing to a life of travel comes with its own road bumps. And, after you’ve been out there a while, you’re bound to encounter some detours—both literally and figuratively. Some of the longer detours…and even some of the quick ones…might challenge you, your family, your well-being, financial situation, employment status, and a whole lot more. Why would my Full-Time Family need a legal service plan? Are you daydreaming of an escape? Or are you in the thick of determining exactly how you’ll make a life on the road happen. Maybe, in the beginning, a few dreamy Instagram photos made the transition seem simple, but you’re now beginning to discover how complicated the transition can be. You are renting or selling your sticks and bricks or breaking your lease. 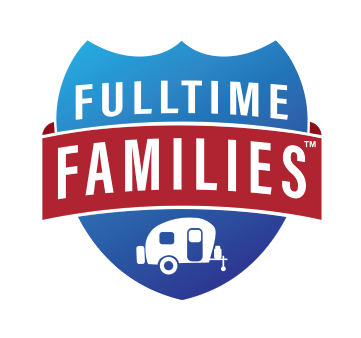 You are buying, financing or selling a vehicle, RV or 5th wheel. You want to learn more about how travel could benefit or negatively affect your tax status. You are trying to navigate homeschool laws, which vary from one state to the next and are constantly changing. You want to review/correct your credit history before you get serious about hitting the road. You don’t understand your insurance policies, and how they could be impacted by a life on the road. You don’t have an up-to-date Will; know the difference between a trust and a Will; or know if you need one or both before going out on the road. Seasoned pros have seen it all, not too much would shock them anymore. Yet they’re wise enough to still seek ways to simplify life and minimize worry. Your vehicle or rig is involved in an accident. You are selected for an audit. Faulty repairs or dealing with warranty issues. You are leaving your current job or employment contract. 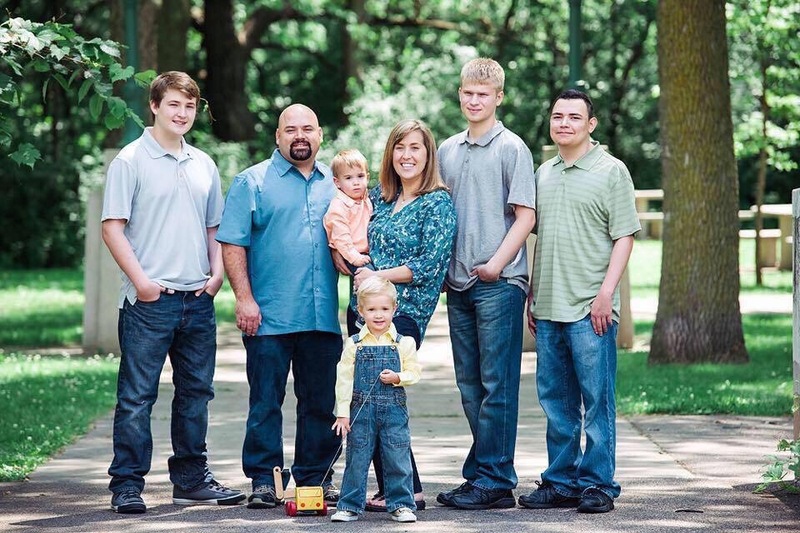 We’re Jennie and Bryan, together we live on the road with our two youngest boys. Now, you may be like me and still learning along the way, or, maybe like my husband, and have 25 years full time traveling experience. Either way, the worries are the same. We’ve had detours that felt more like breakdowns, and other times, they’ve stopped us in our tracks. Fortunately for us, years ago, we became members of LegalShield, a program that’s empowered the two of us, protected our family and allowed us to live our dream life on the road with peace of mind. 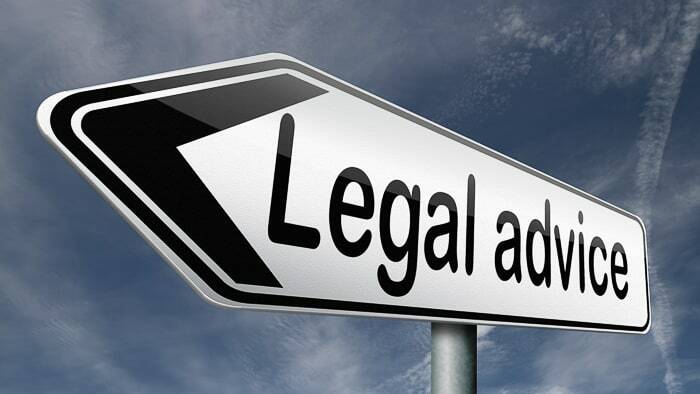 LegalShield is a pioneer in providing legal plans for over 45 years. Their mission for over 45 years has been a straightforward, practical approach. In a perfect world, you’d never need a lawyer, but in an unpredictable world it helps to have a team of lawyers on your side. LegalShield has made smart legal coverage simple – in the form of accessible, affordable, full-service coverage. LegalShield has a network of dedicated law firms in 50 states and 4 Canadian provinces made up of seasoned lawyers with an average of 22 years’ experience. Our Provider Law Firms provide legal protection to over a million members, even in covered emergency situations, 24/7/365 days a year. Once you become a member, you can sit back, relax, and know you’re covered by an entire law firm. Protect your family’s good name with affordable identity theft protection and full restoration services. Identity thieves don’t take time off. Fortunately, neither does IDShield as we arm you with protection and real-time tools. Powerful Services at the Touch of a Finger. With the IDShield app, you have access to your credit score, alerts and Licensed Private Investigators at the touch of a button. 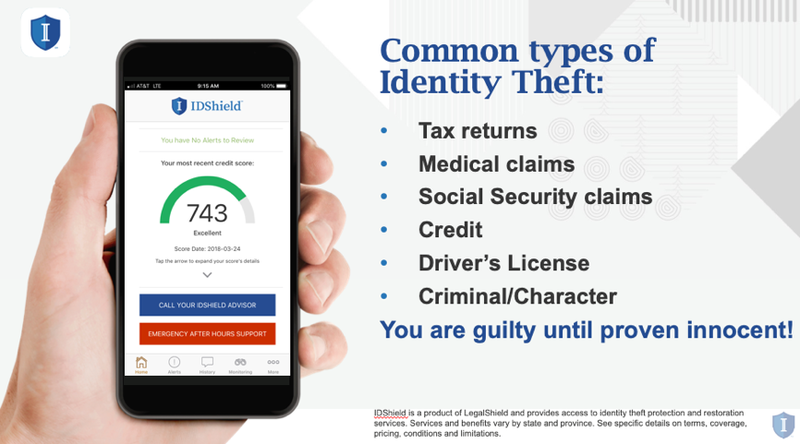 Ideally, identity theft will never happen to you, and we’ll do our best to make sure that it doesn’t. But in the unfortunate event that it does, IDShield has Licensed Private Investigators to provide the best identity restoration possible. If you’re a victim of identity theft, our dedicated licensed investigators will perform comprehensive restoration services using a Limited Power of Attorney, along with access to private resources using specialized credentials, for as long as it takes to restore your identity to pre-theft status. Bryan, why do you personally recommend LegalShield? After a lifetime of RV life, I understand the worry that can come with the lifestyle. Protecting my family is a top priority. If we ever get bad news (and we do—more often than we’d like), we have a place to turn to find out the best options for safeguarding our family and all we’ve worked for. For us, LegalShield has kept our wheels turning. On the road, our attorneys have provided the peace of mind and assistance our family has needed to get through more sticky situations than I can count. There was the time when one of our teenagers was rear-ended in a five-car pile-up on the interstate in Minnesota. He opened up the LegalShield App on his phone just after the accident happened and had an attorney on the phone before the police arrived. The attorney stayed with him on the line, reviewed accident photos, offered counsel and kept him calm amidst the commotion. Even when we weren’t there to help, we had the peace of mind knowing there was someone looking out for him. Most recently, an auto repair shop in Texas claimed they replaced and fixed some air conditioning components to the tune of $1,200 on our minivan. Two weeks later, it was out of service again, and we discovered the repair shop didn’t do what we paid for. A second shop had to correct the problem. LegalShield was able to aid in getting a refund for the original false repair. Without the power of LegalShield and the power of having an attorney working on our behalf, we likely would have been out of that $1,200. Our “Caboose”, the youngest of five, was born in a border town deep in south Texas, 1500 miles from our sticks and bricks. Our insurance company wasn’t too happy. They tried to deny the claim and said we were “out of network.” LegalShield told us to enjoy and bond with our new son and they would handle it. Another happy ending. On top of those temporary headaches, we’ve also found incredible value in LegalShield’s MemberPerks, an included program that’s more than paid for the monthly membership on its own since we became members. We save BIG on our cell phone bill, printing jobs at OfficeDepot, Advance Auto, car rentals, movie tickets, amusement parks, and a whole lot more. The list of times LegalShield has protected us, saved us money, aided us, supported us and given us peace of mind on the road goes on…and on…and on. That’s why I believe in the service and recommend it to just about everybody I know. If I become a member, how do I access legal advice and counsel? LegalShield empowers Fulltime Families every mile of the way and in every place along the way. No matter what trouble you encounter and no matter where you are, your LegalShield team is a mere phone call or tap-on-the-app away from finding you a resolution. Members can contact an attorney for any reason and never receive a bill no matter how many times you use your membership benefits. Individuals, families and small businesses have access to benefits and attorneys 24/7/365 in all 50 states and in four Canadian provinces. 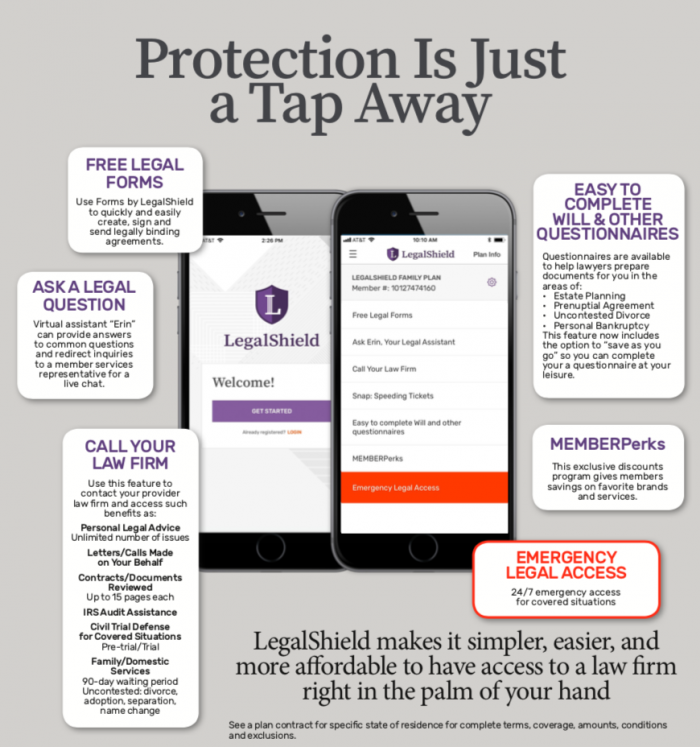 How Do I Become a LegalShield Member? Download the free LegalShield App to see how it works and learn more about LegalShield’s quality, affordable protection options for your Fulltime Family. 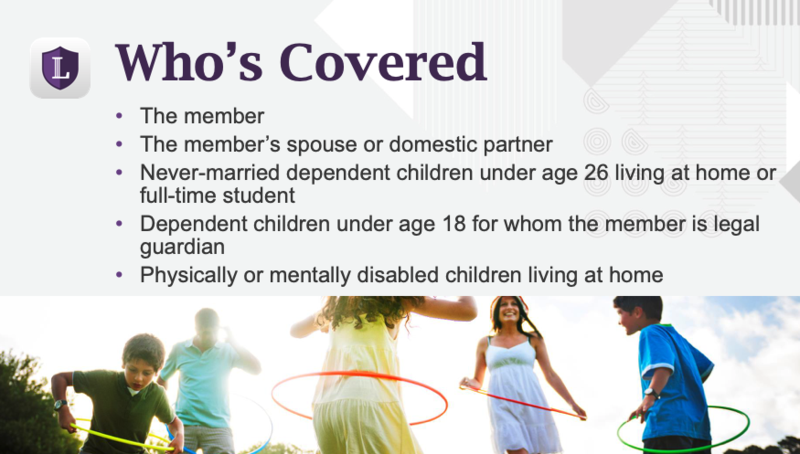 Or, for an overview of LegalShield’s services with videos featuring various options for protection, go to www.lifeeventsprotection.com.